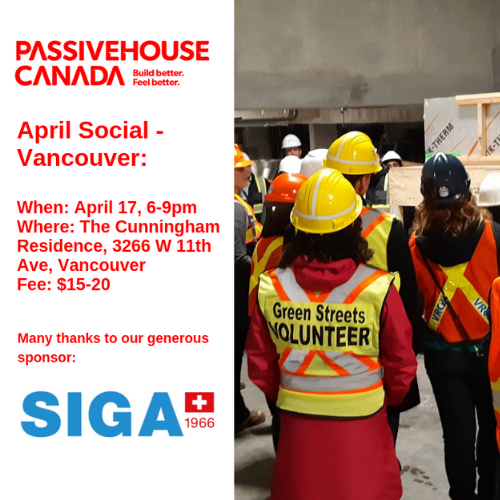 Join Passive House Canada for a tour of the Cunningham Residence! A networking opportunity at a local bar! Please note: the house is under construction so please ensure you wear boots and a hard hat, if you have them, and dress in warm clothes – it’s not Passive House cozy yet! This session is seeking accreditation with PHI and BC Housing.